Documentary series about the intelligence of dolphins and whales. This part looks at how the sea mammals make sounds to catch food, and sing for music's own sake. Whales and dolphins are nature's supreme vocalists, with a repertoire to put an opera singer to shame. 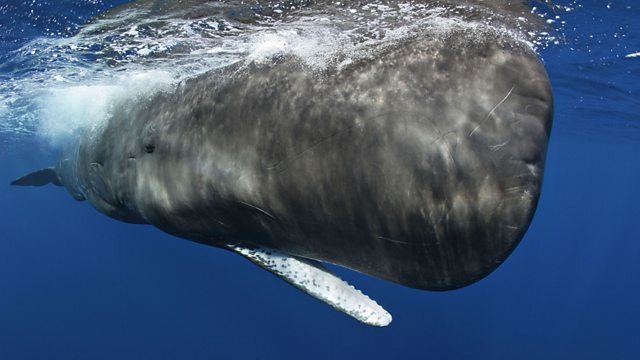 The mighty sperm whale produces deafening clicks in its blowhole which it uses to locate giant squid two miles down in the ocean abyss, while migrating narwhals use similar sounds to pinpoint vital breathing holes in Arctic ice floes. The pink boto dolphin creates bat-like ultrasonic clicks to 'see with sound' and to catch fish in the murky waters of the Amazon River, and also uses whistles and chirps for social conversations. Killer whales in the North Sea use wolf-like howls to round up the herring shoals which they feed on, and they and other dolphins also use percussive tail slaps and splashing leaps to signal to each other. One group of bottlenose dolphins in Brazil has even learned to communicate with fishermen in a unique partnership. But the most famous and mysterious voice of all surely belongs to male humpback whales, whose haunting operatic performances may last several hours and seem to be about singing purely for the sheer pleasure of making music.